Irven G. Reynolds, Sr. took a circuitous route in establishing the dealership that became his legacy. Upon graduation from the University of California-Berkeley in 1912, he became the manager of the Pacific Fruit Packing Company in Pomona. However, this was short lived as an unseasonable freeze of 1913 shuttered all of the packing houses. Undaunted, Irv took over management of the Reynolds Family Orange Groves in Covina. This move would seemingly take young Mr. Reynolds even further away from the automobile business, as only horses were used on the property well into the 1930's. By the spring of 1915, his fortunes had recovered and the young man's fancy turned to a new car. Always a fiscal conservative, Irv reasoned that he could get one wholesale from the Howard Automotive Company, who were the distributors for Buick California. He took the train into downtown Los Angeles and met with the legendary Frank Howard personally. Mr. Howard was quite impressed and offered young Irv the franchise for Covina. According to the Argus, Irv read the proposed contract very carefully, causing Frank Howard himself to proclaim "You're the first Agent I've signed that took the precaution to read the contract." So he returned with not only a new Buick, but also a Buick franchise. He rented a desk in a corner of "Daddy" Webber's garage at the corner of San Bernardino and Citrus in Covina, and established the dealership which continues directly to this day. He took a break to serve as an Ensign in the Navy during World War I, but returned to the dealership after the Armistice. The pace of sales picked up in peacetime, and by 1921 the expanding business had outgrown its host, so a new location was needed. Irv partnered with local businessmen Dr. J. 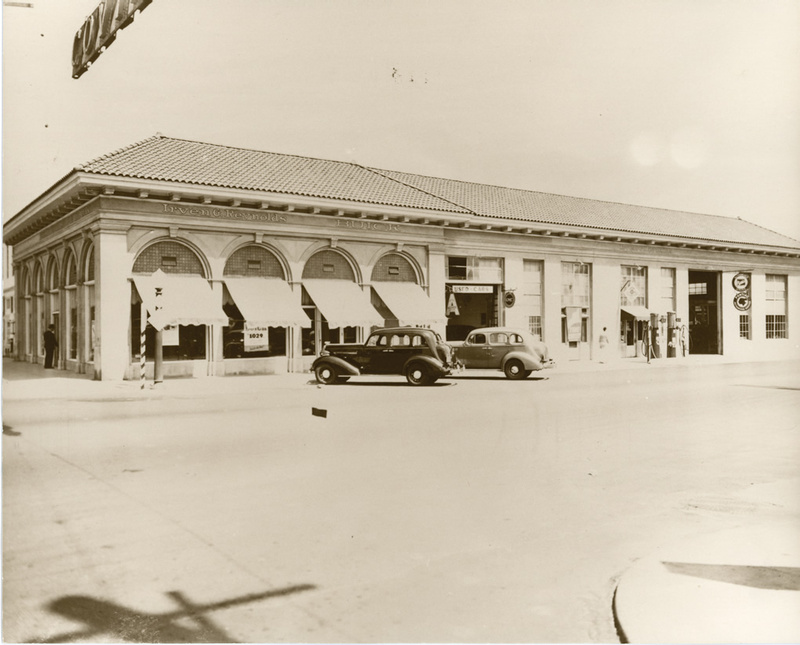 D Reed and J. R. Elliott and built the new dealership at the corner of Citrus and Badillo where it would remain for many years. 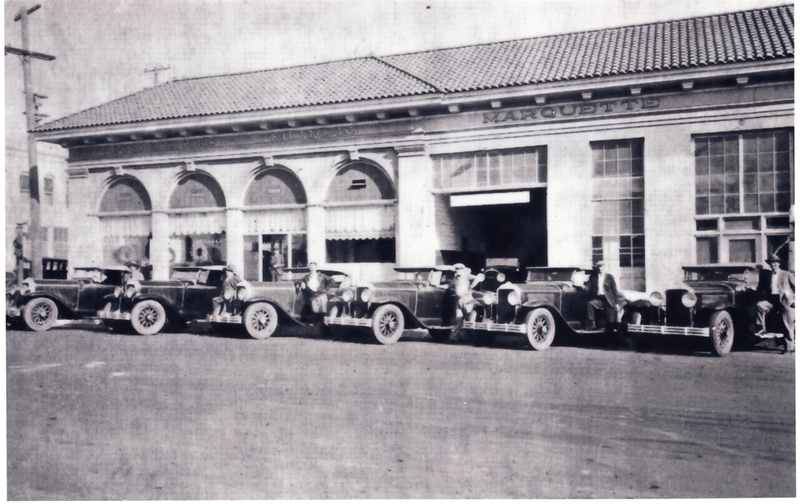 They added the GMC Truck franchise in 1923 and briefly represented Pontiac during the depression. Irv and his wife Gertrude made Covina their lifelong home and raised their son Pete and daughter Pat here. Irv became a driving force in the community as well, as a Charter member of the Rotary Club, a past President of the Covina Chamber of Commerce, President of the American Legion Post, a member of the Masonic Lodge, and was instrumental in the founding of the Red Cross Covina House. He began hosting an annual steak fry for Inter-Community Hospital in 1955, an event that continued for many years. Son Irven Jr, known to all as "Pete" joined the dealership in 1950 upon graduation from the University of California-Berkeley. Pete assumed the helm as dealer in 1958 and steered the course of guiding the dealership through the postwar era. It was Pete whose introduction to Lennie "Pop" Kennedy led to an association with Pop and engine builder Jim Bell that created some of the finest Buick racing cars of all time. Starting with a virtually stock bright red 1959 Invicta, known in lore as the "winningest Buick of all time", the Reynolds-Kenne-Bell association was instrumental in establishing the reputation of the Buick Gran Sport and were so influential that Buick Headquarters supplied prototype parts to Reynolds for evaluation. The most famous Reynolds Buick racer, a white 1970 Gran Sport 455 Stage 2, is in restored condition today and returned to the dealership to help celebrate their 95th Anniversary last fall. The dealership celebrated its 50th Anniversary in 1965 with much fanfare. 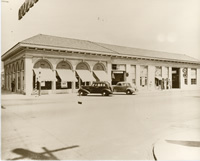 They had just moved into their brand new location on Citrus Avenue, where they are still located today. A fleet of fifty specially painted Gold 1965 Buicks and gold plated license frames helped kick off the year long celebration. Even the new 1965 Reynolds Buick GS racing car was finished in the special gold color. The dealership diversified in the 1970's, selling economical Opel cars alongside the downsized Buicks, and even branching into the Motor Home market. 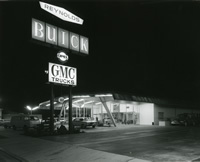 Buick was on a roll in the 1970's and 1980's, and Reynolds was right at the top of the charts, selling 179 Buicks in a single month and 1,204 in a year, while also becoming the world's largest retail dealer for the futuristic GMC Motorhome. In more recent years, the truck market has exploded in popularity with greatly increased demand for Pickups, Vans, and Sport Utility Vehicles as family transportation. Today, Reynolds is not only one of the largest GMC dealers in the area, but also have been very successful with commercial vehicles. Reynolds is proud to be the largest W-Series Truck dealer on the west coast, and number three in the country. Pete handed the reins over to youngest son Don Reynolds in 1999, and the third generation of the Reynolds family carried it into the new Millenium with the same values and philosophies that have been in place since the very beginning. Since 1915, we have always been the best in the business. We take pride in our heritage, and we work hard to preserve the values and dreams of our founder, Irv Reynolds.